"The experience was great. They were helpful, promp & polite. We had 2 estimates done. The other was a litlle cheaper but the materials used by this company were much better quality so we went with them. When they came to give us the estimate they told us it would take 7-10 days for the gates to be made. 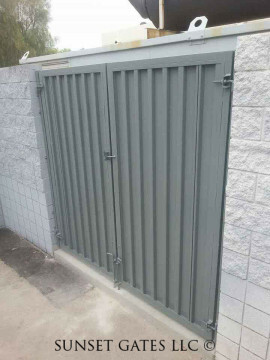 They called us on the 10th day to schedule the installation which was 2 days later. It all went well & we are very pleased." "I was incredibly impressed with this company from start to finish. 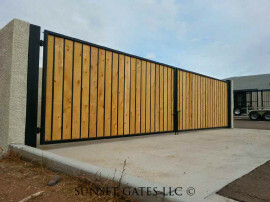 Shawn has a vision and understanding of the construction of gates that is, quite frankly, unrivaled. From the initial call until the completion of the project, he was always easy to reach, understanding, and professional. I would highly recommend using this company to anyone for your gating needs. 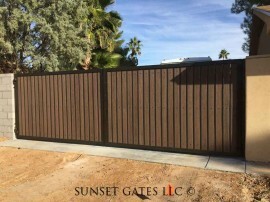 In fact, if I ever have any gate or fencing needs in the future, I plan on contacting Sunset Gates first to see if they can help me." "Provider was very responsive to all of my calls and texts. The craftsmanship on both the block wall and gate are excellent. They were able to complete the project a few days early in order to meet my schedule. I definitely recommend them and use them again in the future." 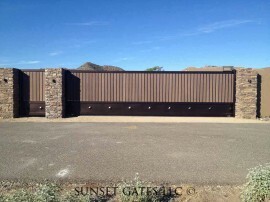 "Shawn promptly responded to my e-mail inquiry and provided a complete estimate for the replacement of our RV gate as well as a smaller gate. We agreed to the quote and he promptly and efficiently completed the job. While he was here quoting our gates we also had him quote one for our daughter who lives a few blocks away. That job was also completed and everything is beautiful. Shawn and his installers are pleasant, neat and reliable. They certainly deserve the high ratings they have obtained." "I spoke to Shawn about a drop rod pipe for my RV gate. He made helpful suggestions to try and fix it myself while on the phone. 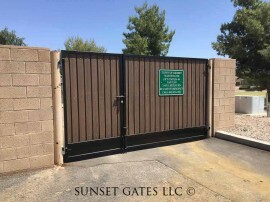 After a few do-it-yourself tries, I decided to have Sunset Gates come out and repair the RV gate for me. Shawn came alone and was able to fix the RV gate for less than he quoted. Overall, it was a great experience and I would use his company again." 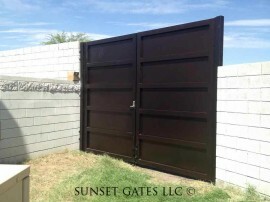 "Shawn from Sunset Gates was professional and prompt. 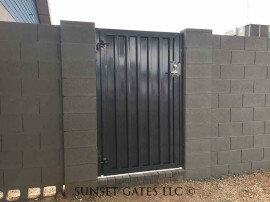 The new gate was installed while I was out of town and when I returned it was in place and beautiful." 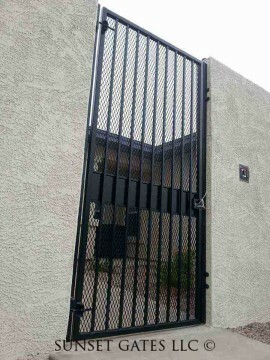 "Shawn showed up on time for a consultation on how I'd like to replace the gate. The interview was informative and pleasant; my questions about materials and configurations were answered and the entire procedure, including timelines, was explained clearly. 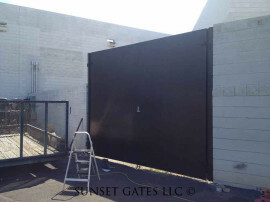 In the event, the job went as described and the old gate was removed and the new one efficiently installed in one morning's work. 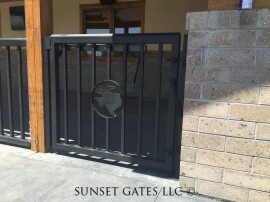 I now have a clean, attractive, and, above all, smoothly functioning side gate. All involved - the salesman and the installers - were professional and enjoyable to interact with. And Shawn followed up after the installation to ensure I was happy with the job."